It began with an overhaul of their website. Their internal project team had gotten things to a good place—indentifying key stakeholders, audiences and the look and feel that would propel the college forward. When we came onboard, they were looking for guidance around the heirarchy of their home page, wanting it to be focused more heavily on new student enrollment. We assessed the research and input they had recieved thus far and built a site that incorporated strong colors, clear calls to action and photography that not only felt accessible but also highlighted their newly renovated campus. This website won gold at the 2018 NCMPR District 6 Medallion Awards. Next, we took the website look and feel and translated that onto a variety of print pieces for student recruitment and current student retention. 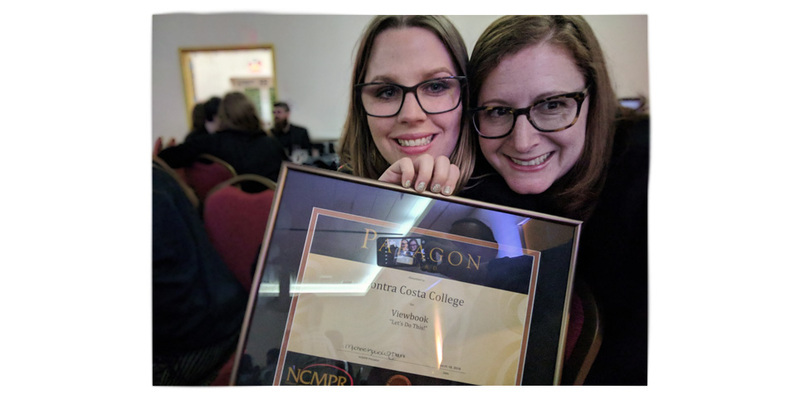 The 'Let's Do This' Viewbook (below) has been translated into 3 languages and won bronze at the 2018 NCMPR Paragon Awards. 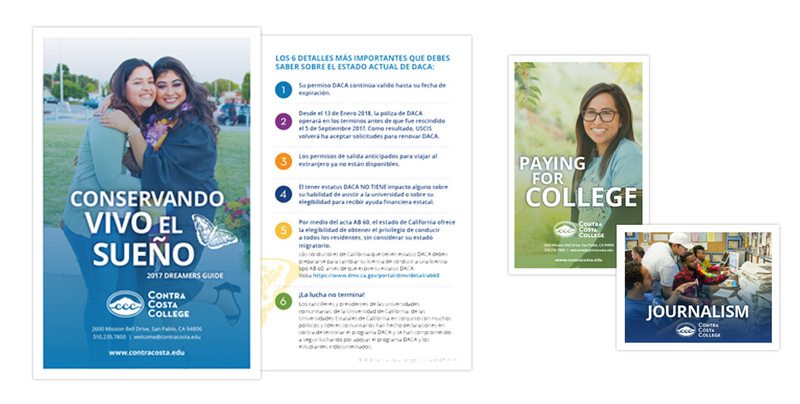 Below are further collateral samples of their new DREAMers/DACA booklets, financial aid and program focused brochures, as well as a variety of other collateral to support the college. We also provide ongoing campaign strategy support and website maintenance. 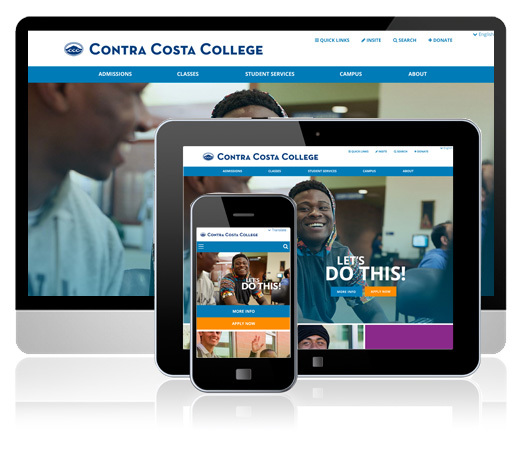 Contra Costa College has exponentially increased the number of student applications this year. Rootid is a small but nimble creative team that not only produces beautiful products, but does so on time and on budget.